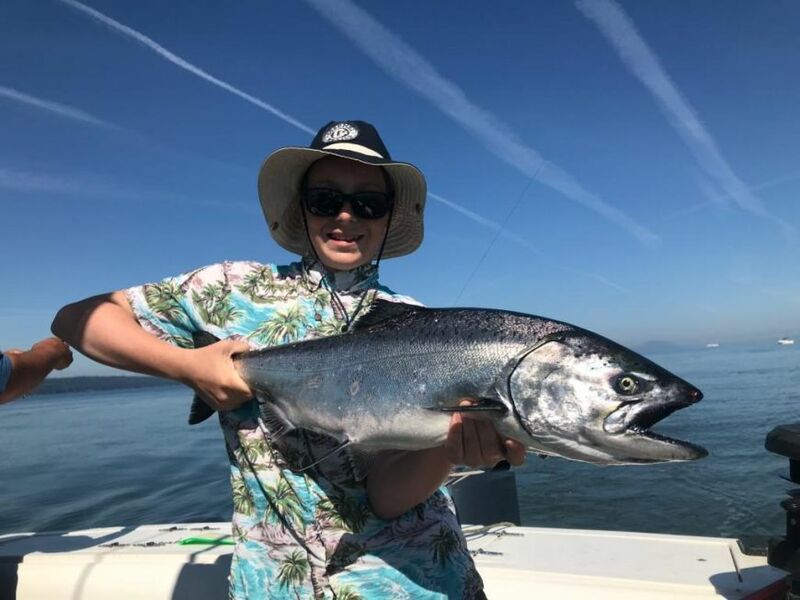 For the most part, local anglers and charter guests have been spoiled by some excellent chinook fishing over the last month. Things have slowed in local waters over the last week, but the Gulf Island's have continued to produce very well. With a mellower tide set coming up this week, local fishing hopefully perk back up. The Gulf Island's have been excellent on most days in recent weeks. We have spent most of our time off the Eastern shoreline of Gabriola Island, but good reports have been coming from Galiano Island up to Nanaimo. The fish on the far side of the Strait have been a little deeper and productive depths have been from 90 to 200 feet on the downriggers. Hootchies seem to the best bet over there for most boats. Our favourite Gulf Island hootchie is the Yamashita Green or Chartreuse Spackleback. This hootchie paired up with a Gibbs Delta Lemon Lime or Bon Chovy Flasher is a deadly combo over there. 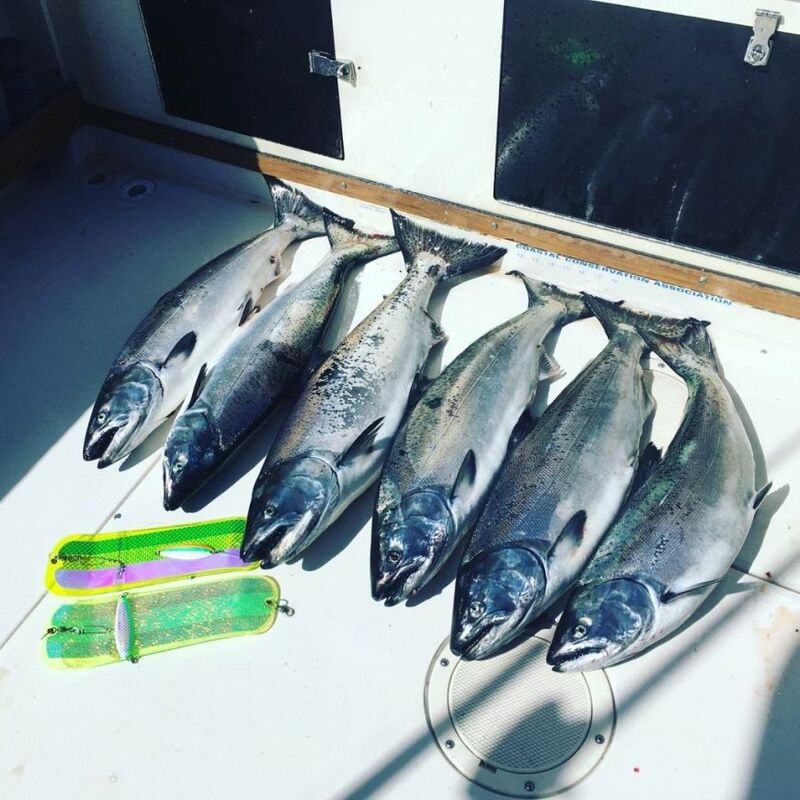 As we progress into late May and June we are anticipating that the fishing will continue to be productive along the surfline from Passage Island up to Gibsons. 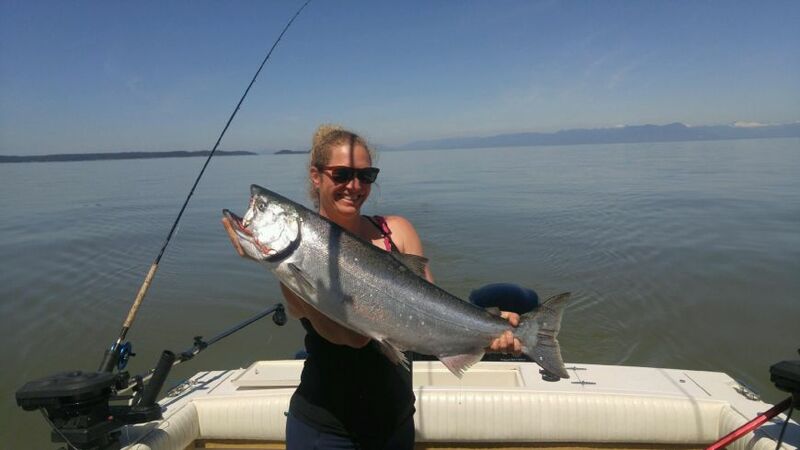 Over the last couple years, the fishing has remained productive for chinook in Vancouver area waters well into June, we are hoping for a repeat performance. We like to recommend the longer 8 and 10 hour trips in May and June. We often run a little further this time of year and the longer days often pay off. We often cross to the Gulf Island's on our 10 hour trips in May, June and July if the weather and fishing reports are favourable. The South Bowen Fishery has really picked up! The last few days have seen very good fishing. Looking forward to the coming weeks! Spring is here and the Offshore Fishery is starting! We are now transitioning into a spring pattern in our local Vancouver fishery. 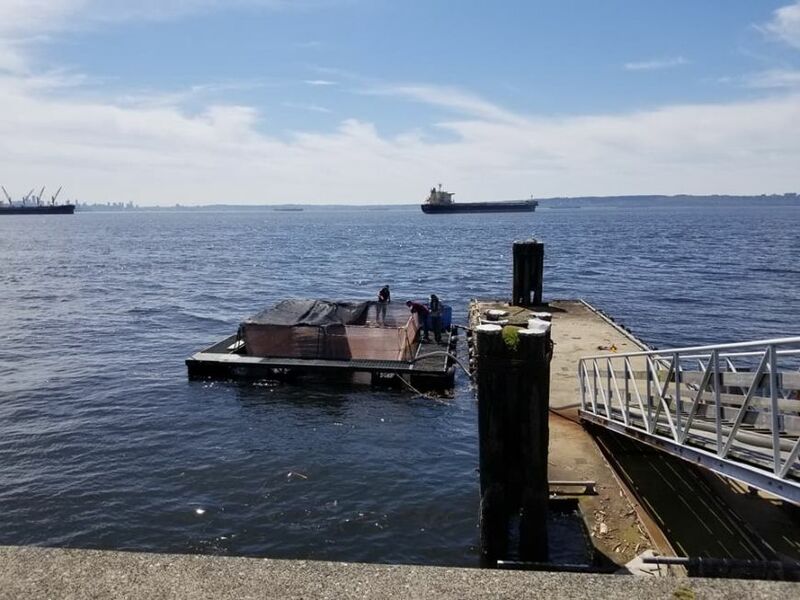 After a productive winter fishery in Howe Sound and the inner reaches of English Bay, the offshore fishery has started. Over the last week there has been decent numbers of fish showing up out in the deep! 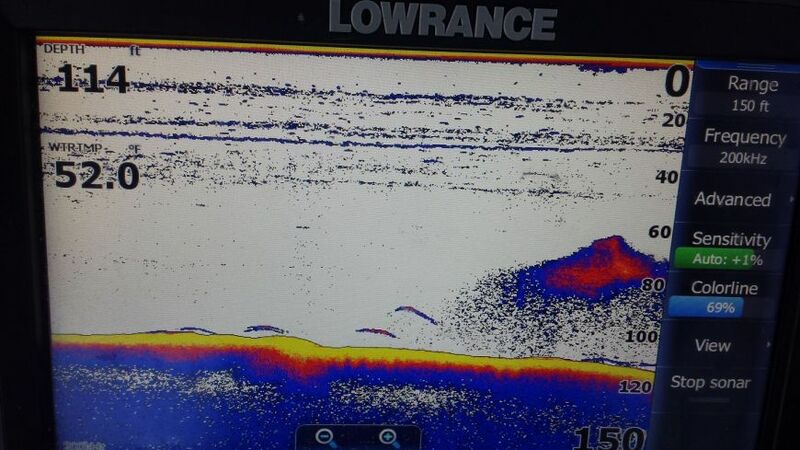 This trend will continue and the fishing should continue to improve in coming weeks. We have been out quite a bit in recent weeks and have enjoyed some good fishing in Vancouver. Winter fishing for chinook salmon has been fairly consistent in Vancouver Harbour and Howe Sound. We have been dropping traps for Spot prawns and Dungeness Crabs and spot prawns and have had very good results. Copyright 2001 - 2019 Bonchovy Fishing Charters.